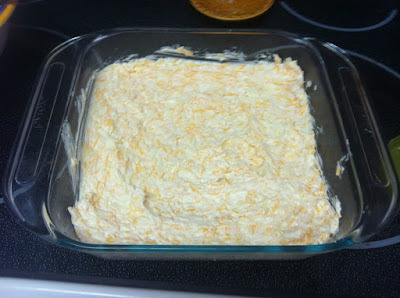 I definitely had to try this delicious looking recipe for Charleston Cheese Dip... especially when Charleston is so close to home! 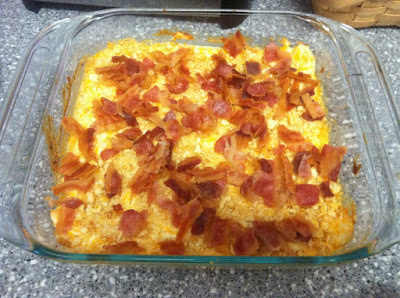 Plus, the recipe is Trisha Yearwood's & comes from her recipe book, Georgia Cooking in an Oklahoma Kitchen. This recipe would be great for the upcoming football season. 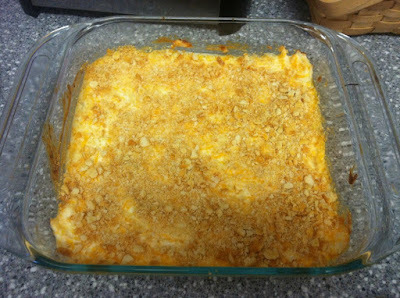 In a bowl, mix cream cheese, mayo, sharp cheddar, monterey jack, onions, and pepper (if you wish). Transfer mixture into shallow baking dish. Serve immediately with crackers, corn chips, or bagel chips. This recipe was as good as it looks & definitely worth the effort (which wasn't much at all). You do need to serve it immediately though. I sealed up what was left over and tried it later, and it wasn't all that great. I love a good cheese dip! I will definitely have to try this :). this looks delicious and absolutely not in the littlest bit healthy at all.